With Animated Screensaver Maker you can easily create animations by yourself! Animated Screensaver Maker 4.3.9 was available as a giveaway on July 6, 2017! How would you improve Animated Screensaver Maker 4.3.9? 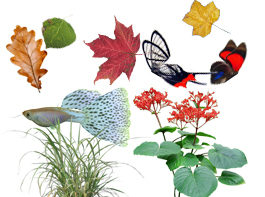 The DP Extension Pack add-on adds more than a hundred variants of the existing animated objects and brushes in Animated Screensaver Maker. 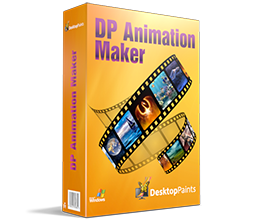 Order DP Extension Pack now and get a free permanent key for Animated Screensaver Maker. This key allows you to reinstall and upgrade the program without any limitations. BTW since this license will not function with future versions it is recommended that giveaway participants disable the added service using the executable WebUpdateSvc4.exe and called "Web Update Wizard Service V4" it is by default set to automatic start using the SYSTEM login profile and really does not need to run with any giveaway version of DesktopPaints software installed! I advise to set the process startup type to disabled to avoid runnning an unneeded task or the risk of being offered an update that will invalidate the giveaway license. Thank you for the awesome advice. I value your input very much. Installed correctly in safe mode with networking (Win7 x64). It accepted the registration key instantly. Looks like a fun program to play with. Thanks very much, GAOTD and DesktopPaints! Froze my computer. !! And now I cant uninstall the program.!! Too bad this came this way. Installed no problems on Windows 10. Love it!! For last 10 days, I always get 404 error message for all downloads. And when I click on the "home page" it takes me back to the same page which leads me to this error. Is there any thing that I need to do at my end. Just go to our home page and proceed from there." For last 10 days, I always get 404 error message for all downloads. And when I click on the "home page" it takes me back to the same page which leads me to this error. Is there any thing that I need to do at my end. "Oooops! Sorry, the page you're looking for isn't here. Maybe you've clicked on an obsolete link or mistyped the URL, or maybe it's just us. Don't fret! Just go to our home page and proceed from there." Try another browser. The one you're using is probably infected. If someone like me has NEVER had an issue downloading from this website and you do all the time tells me something is wrong on your end. Generally, if you're downloading a zip file from here that has a setup.exe and a setup.gcd file inside that zip, some anti-virus programs will flag this as a virus. You need to temporarily disable you antivirus program when downloading from giveawayoftheday.com Lastly, look for a browser add-on that might be causing problems. Either way, the issue you're experiencing has to be on your end. Dattatraya, Dattatraya, Try another browser. The one you're using is probably infected. If someone like me has NEVER had an issue downloading from this website and you do all the time tells me something is wrong on your end. Generally, if you're downloading a zip file from here that has a setup.exe and a setup.gcd file inside that zip, some anti-virus programs will flag this as a virus. You need to temporarily disable you antivirus program when downloading from giveawayoftheday.com Lastly, look for a browser add-on that might be causing problems. Either way, the issue you're experiencing has to be on your end. Thanks. I suppose you must be right. I am not a technical expert. I have been using Chrome for decades. I have the latest version. I am getting this error only at this point and nowhere else in my work. If it is because of some blocking software, I fail to understand why am I not getting the "this site is blocked" message only for this site, which I always get if any site is blocked. And I do not see any relation between any anti-virus software and error 404. Never mind. I do not find it worth spending my time trying to figure out the reason for this unless I start getting the same error elsewhere. I have been a member of GOTD for years. I got this message for the first time, about a week ago and it a couple of times since then. Anyway thanks for the guidance. Robert, Thanks. I suppose you must be right. I am not a technical expert. I have been using Chrome for decades. I have the latest version. I am getting this error only at this point and nowhere else in my work. If it is because of some blocking software, I fail to understand why am I not getting the "this site is blocked" message only for this site, which I always get if any site is blocked. And I do not see any relation between any anti-virus software and error 404. Never mind. I do not find it worth spending my time trying to figure out the reason for this unless I start getting the same error elsewhere. I have been a member of GOTD for years. I got this message for the first time, about a week ago and it a couple of times since then. Anyway thanks for the guidance. I received a reply suggesting me to go to GOTD home page. I did that. I went through the same loop which I have described. Unfortunately, I am not aware of anyway by which I can send screen recording of what I did. I suspect probably, in future too, I may not be able to get the benefit of GOTD. No regrets. Thanks for whatever benefits I have received so far. Continued. I received a reply suggesting me to go to GOTD home page. I did that. I went through the same loop which I have described. Unfortunately, I am not aware of anyway by which I can send screen recording of what I did. I suspect probably, in future too, I may not be able to get the benefit of GOTD. No regrets. Thanks for whatever benefits I have received so far. Dattatraya, try temporaririly disabling all privacy addons in your browser, something may be manipulating the URL you get for the download to make it not function properly. Also check to see if you have DNS blocking software installed. For example, if you have COMODO firewall installed, it will also install software that will block unsafe or labeled unsafe websites that you visit. To turn it off, simply open your browser, Google Chrome, for example, go to Settings, scroll down and click on "Show Advanced Settings" and click on that to open more configurations. Scroll down further until you see Network and then click on 'Change Proxy Settings' button which opens a new window. Finally, click on LAN Settings and look for a check mark in proxy server area. If you see that then you'll probably see two DNS server IPs. Delete those IP's and then where it says Automatic Configuration, click on 'Automatically detect settings' checkbox. Click OK and then OK button again. That should fix it, if you have this particular problem. Also make sure your browser is up-to-date and check your SSL settings. If they are incorrect, that could give you a 404 error. That's all for now. I hope you find your issue. Dattatraya, Also check to see if you have DNS blocking software installed. For example, if you have COMODO firewall installed, it will also install software that will block unsafe or labeled unsafe websites that you visit. To turn it off, simply open your browser, Google Chrome, for example, go to Settings, scroll down and click on "Show Advanced Settings" and click on that to open more configurations. Scroll down further until you see Network and then click on 'Change Proxy Settings' button which opens a new window. Finally, click on LAN Settings and look for a check mark in proxy server area. If you see that then you'll probably see two DNS server IPs. Delete those IP's and then where it says Automatic Configuration, click on 'Automatically detect settings' checkbox. Click OK and then OK button again. That should fix it, if you have this particular problem. Also make sure your browser is up-to-date and check your SSL settings. If they are incorrect, that could give you a 404 error. That's all for now. I hope you find your issue. Thanks for the help. Now the time is out. I have noted it when this happens next time. TK, Thanks for the help. Now the time is out. I have noted it when this happens next time. Tried 3 times now, get a message saying program is activated, but it has not been installed. Andy, Disable your Anti-virus while trying to install the software. Installed & registered fine. But when I try to create a screensaver, I get the message; the program can't start because VCRUNTIME140.dll is missing from your computer. Try reinstalling the program to fix this problem. Uninstalled & reinstalled = same message. Restart PC, install again, and get the same message once more. Installed & registered fine. But when I try to create a screensaver, I get the message; the program can't start because VCRUNTIME140.dll is missing from your computer. Try reinstalling the program to fix this problem. Uninstalled & reinstalled = same message. Restart PC, install again, and get the same message once more. Normally all files and dependencies needed by an application should come with the program. But this is not always the case. VCRUNTIME140.dll belongs to VC++ 2015 Redistributable Package. So either VC++ 2015 is not installed or damaged on your computer. (Re-)installing the VC++ 2015 package (download from Microsoft) might fix it. 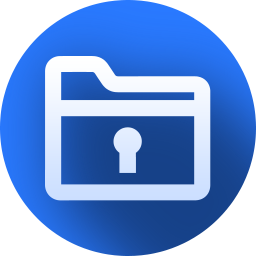 Deeg, Normally all files and dependencies needed by an application should come with the program. But this is not always the case. VCRUNTIME140.dll belongs to VC++ 2015 Redistributable Package. So either VC++ 2015 is not installed or damaged on your computer. (Re-)installing the VC++ 2015 package (download from Microsoft) might fix it. Animated Screensaver Maker is one of 3 similar, related apps Desktop Paints develops. They basically use the same sort of graphics FX you might find in a mid-range to higher end game to add motion FX, & optionally sprites, to a static image of your choosing. 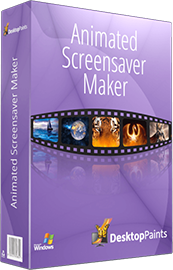 Screensaver Maker saves the results as a screensaver, Wallpaper Maker creates animated wallpaper, & Animation Maker lets you create video clips. On the plus side the software lets you create animated scenes without the learning curve & work involved creating the same thing from scratch, while the screensaver & wallpaper files are smaller than a video file would be, so they're easier to share. The apps, screensavers, & wallpaper work best using the graphics hardware on a Windows device [PC, laptop, tablet], and one downside is that not every device has the graphics horsepower needed. Note that running one of the created screensavers or animated wallpapers will likely bring a graphics card or separate [discrete] GPU out of power saving mode [if your device has a graphics card or separate GPU]. All three of the Desktop Paints apps are light weight -- installing them has little impact on Windows itself -- and as you can see on their blog page, Desktop Paints is continually adding improvements. I just installed the ss_maker.exe from desktoppaints.com website and installed it into its own uniquely named folder and gave it a similar unique folder name in the start menu and it installed just fine, it replaced the old giveaway version 4.3.3 desktop icon with a new one pointing to the 4.3.9 version. At the end of the setup it offered to launch the program on setup exit but it failed to launch it... I manually launched it and it reported the existing license (for 4.3.3) is not valid for this version and that I could continue to evaluate this version. I went to help menu and selected Register and replaced the old key with the new one from the giveaway package readme.txt file and it was accepted. This new license is accepted for 4.3.3 and even 2.4.9 from a few years back too. Since we are not permitted to update without losing the old license then we should not check for updates or accept them if offered by an automatic update check. The program works as described but there is no explict what's new in this version but there is a blog that talks of changes to their animation editors on what apears to be a monthly basis, whether that is for every products built in animation editor is unclear as no specific product or version numbers are mentioned in the blog posts I read. "Checksum mismatch. The installation is corrupt or has been tampered with. If you downloaded this file from the Internet, try downloading it again? " Tried downloading the same file again with disabled antivirus but the error is still present. Unable to install , when I click on setup.exe it says: "Checksum mismatch. The installation is corrupt or has been tampered with. If you downloaded this file from the Internet, try downloading it again? " ps. I am Win 7 64 bit user Never had this software before Tried downloading the same file again with disabled antivirus but the error is still present. Any ideas? I love this prog and the folks at Desktop paints who are so helpful. Thanks GOATD. I love this prog and the folks at Desktop paints who are so helpful. Windows XP, Editor_S.exe is not a valid Win32 application. Windows XP, Editor_S.exe is not a valid Win32 application. The same version 4.3.2. "Windows XP, Editor_S.exe is not a valid Win32 application." Microsoft adds core processing features to each new version of Windows, at the same time making it the default to use these newer features in each new version of their software development tools. It's a fact of life that it's often getting harder & harder for developers to add work-a-rounds for XP into their code, & many don't feel it's worth the effort for such a small portion of the overall market. JardaH, <i>"Windows XP, Editor_S.exe is not a valid Win32 application. "</i> Microsoft adds core processing features to each new version of Windows, at the same time making it the default to use these newer features in each new version of their software development tools. It's a fact of life that it's often getting harder & harder for developers to add work-a-rounds for XP into their code, & many don't feel it's worth the effort for such a small portion of the overall market. mike, so why System Requirements: Windows XP/ Vista/ 7 /8/ 10 (x32/x64). JardaH, because the issue here is NOT about core processing or anything to do with the CPU or even resource requirements like procedures not found in system DLLs..
That error is due to the version number they chose when building the program is NT version 6.0 which is potentially executable or recognised as a valid win32 application in Vista and above. Version 2.4.9 that I still have installed here too was built to be potentially runable or accepted as a valid win32 application in NT 4.0 and above. Theoretically it could be possible to hack the executable file to pretend it was built for a different NT version number but that would invalidate the digital signature and just expose a new reason why it won't work under XP... but it might also work! The system requirements statement including XP in the list with the build you have AND the version given away today 4.3.9 is an error and sadly for the millions of XP users out there, it is not XP compatible in its current form. JardaH, because the issue here is NOT about core processing or anything to do with the CPU or even resource requirements like procedures not found in system DLLs.. That error is due to the version number they chose when building the program is NT version 6.0 which is potentially executable or recognised as a valid win32 application in Vista and above. Version 2.4.9 that I still have installed here too was built to be potentially runable or accepted as a valid win32 application in NT 4.0 and above. Theoretically it could be possible to hack the executable file to pretend it was built for a different NT version number but that would invalidate the digital signature and just expose a new reason why it won't work under XP... but it might also work! The system requirements statement including XP in the list with the build you have AND the version given away today 4.3.9 is an error and sadly for the millions of XP users out there, it is not XP compatible in its current form. You need to look for version 4.2.4 or lower. It works on Windows XP x32! JardaH, You need to look for version 4.2.4 or lower. It works on Windows XP x32! TK, just tested the hypothisis in my previous comment and hacking the PE Editor_S.exe and yes it does break the digital signature and does let the XP SP3 windows exe loader load the file but it then generates an alert box announcing an Internal Error 00000012 and the program aborts loading on dismissing it so it is definately NOT XP SP3 or earlier compatible. TK, you are writing this unnecessarily, I understand it and it is useless to write why it does not work, so do not put it between the supported od wxp. Downloaded then it tried to install some rubbish I didn’t download! I just tried contacting them on their web site! Surly if they cant get there message page to work they will never get a program to work? I just tried contacting them on their web site! Surly if they cant get there message page to work they will never get a program to work? If you run Avast, AVG, or some other antivirus app, make sure to disable it for 10 minutes, and try to reinstall this giveaway. This issue used to happen to me until I discovered that the culprit was Avast. "Downloaded then it tried to install some rubbish I didn’t download! Just stated successfully activated yet No Animated Screensaver Maker 4.3.9 is installed"
The GOTD app includes an option for software, but it's just that, an option, and nothing extra is downloaded & installed unless you check the box. Once the GOTD app is started it'll verify that the offer is valid [that the GOTD offer isn't over], run the setup app for the software, and once that's completed, show a message to tell you it's done -- where you see the activated message. Unfortunately security software may block the actual setup from running, but the GOTD app has no way of knowing that, so it'll still show the message that everything's done. You can find more info in the comments for some past GOTD offers, in their blog, & in the forum. The solution is normally to temporarily turn off active scanning or run the GOTD download in Safe Mode. "I just tried contacting them on their web site! Surly if they cant get there message page to work..."
Seems fine to me using Opera in win7. Pete, <i>"Downloaded then it tried to install some rubbish I didn’t download! Just stated successfully activated yet No Animated Screensaver Maker 4.3.9 is installed"</i> The GOTD app includes an option for software, but it's just that, an option, and nothing extra is downloaded & installed unless you check the box. Once the GOTD app is started it'll verify that the offer is valid [that the GOTD offer isn't over], run the setup app for the software, and once that's completed, show a message to tell you it's done -- where you see the activated message. Unfortunately security software may block the actual setup from running, but the GOTD app has no way of knowing that, so it'll still show the message that everything's done. You can find more info in the comments for some past GOTD offers, in their blog, & in the forum. The solution is normally to temporarily turn off active scanning or run the GOTD download in Safe Mode. <i>"I just tried contacting them on their web site! Surly if they cant get there message page to work..."</i> Seems fine to me using Opera in win7. Hi, Shane...it's always best to do an un-install of an older version of a program, rebooting, then new a new install with todays new GOAD. Downloaded, installed and registered on a Windows 10 computer....and as easy as pie. I think we've all seen either this program or ones like it before. Easy to use and to save screensavers. Not everybody's cup of tea granted...but a bit of harmless fun is the way I look at it...besides...I seem to have a 'thing' for this kind of software. I'm already using proshow Producer and Nature Illusion Studio to create screensavers...most of which have music...so I can chill out while reading a book.